SYDNEY – A Pakistani student has been stabbed to death possibly by two Australian teenage boys, who have been taken into police custody to be investigated. 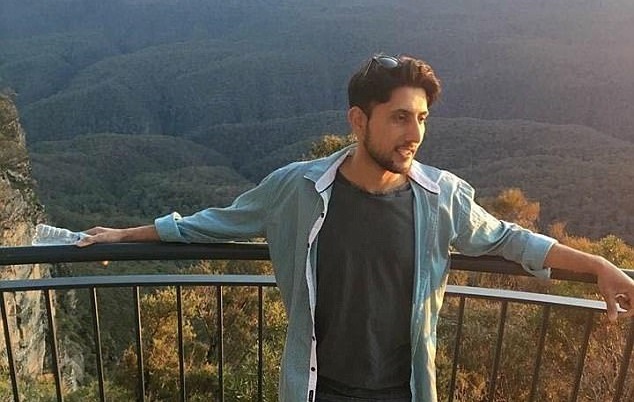 Zeeshan Akbar, a 29-year old Muslim student who worked at a petrol service station in the city of Queanbeyan, was found with multiple stab wounds late Thursday. Mr Akbar died at the scene and Queanbeyan police said his co-worker was “obviously very shaken”. Akbar is believed to have been attacked by the two boys — aged 15 and 16 — about midnight Thursday. The two teens were arrested by New South Wales state police on Friday morning. “It’s an absolutely horrific series of events, and we’d just like to reassure everybody that there are two people that we believe are involved, and both of those people are currently in custody,” said Monaro local police commander Superintendent Rod Smith. His death was one of a series of violent incidents in the NSW town, just outside Canberra. Police believe only one of the boys, the 16-year-old, is linked to terrorism, but both are known to police. Prime Minister Malcolm Turnbull called it “shocking” and reiterated concerns about the radicalisation of young Australians. Queanbeyan-Palerang Regional Council administrator Tim Overall expressed his “shock and sadness” at the events. “I extend my deepest sympathy to family, friends and colleagues of the young man who lost his life and others who have been affected and traumatised by the events,” Mr Overall said. The NSW Joint Counter Terrorism Team has joined the investigation into the fatal stabbing of the young Pakistani man. NSW Deputy Police Commissioner Catherine Burn said evidence pointed to the attack being terror-related. She said the investigation involves NSW Police, the Australian Federal Police, ASIO and the Crime Commission. Investigators from the NSW Joint-Counter Terrorism Team were now trying to establish a motive and whether there were in fact any links between terror groups and the boys — and to what extent. “The Pakistani community is deeply concerned and saddened by this horrific murder” said Pakistani High Commissioner Naela Chohan said. Ms. Chohan said the victim’s relatives in Australia had been contacted to inform his family in Karachi about the tragic incident. 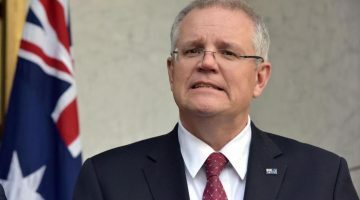 Consulate staff had been sent out into the 10,000 strong Canberra Pakistani community to speak with the victim’s friends, she said. “It’s something that you don’t expect when you have such a good community that is well-behaved, law-abiding and then such a crime occurs, it is something that shocks everybody,” she said. Akbar was a temporary resident who had been in Australia for eight years. Friends have been shocked by the violent attack, saying Mr Akbar was a kind and calm person. Mr Akbar’s friend Mohammed Shahnawaz went to the scene on Friday to pay his respects, along with a group of men who knew the victim. Another friend Fahd Zahoor described the service station worker, who had just completed an Advance Diploma in Automotive Industry, as ‘an incredibly kind-hearted person and very down to earth’. One of the service station’s customers sent a message to Mr Akbar’s family. “I just want his family to know that their son was just such a nice person to complete strangers,” the woman told reporters. Mr Akbar was a Muslim, a club member of Haig Fawkner Cricket Club and was also ‘responsible for his family’s financial needs’.